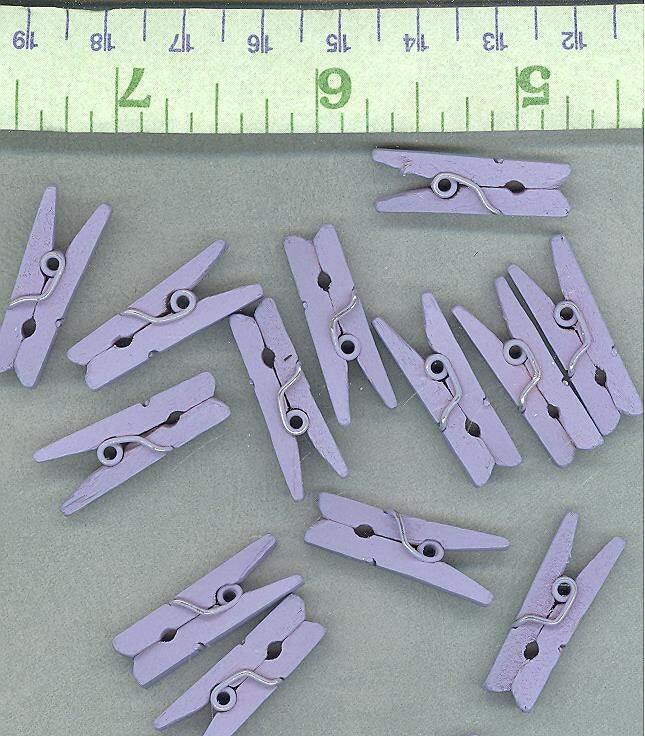 These are small wood clothespins in light purple. 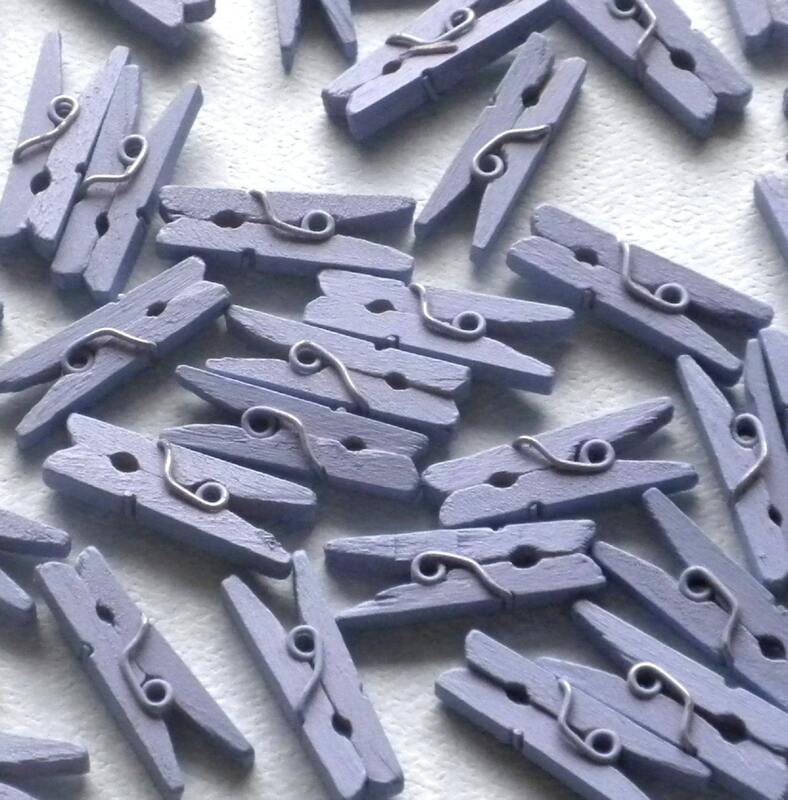 They are 1" (2.5 cm) long. 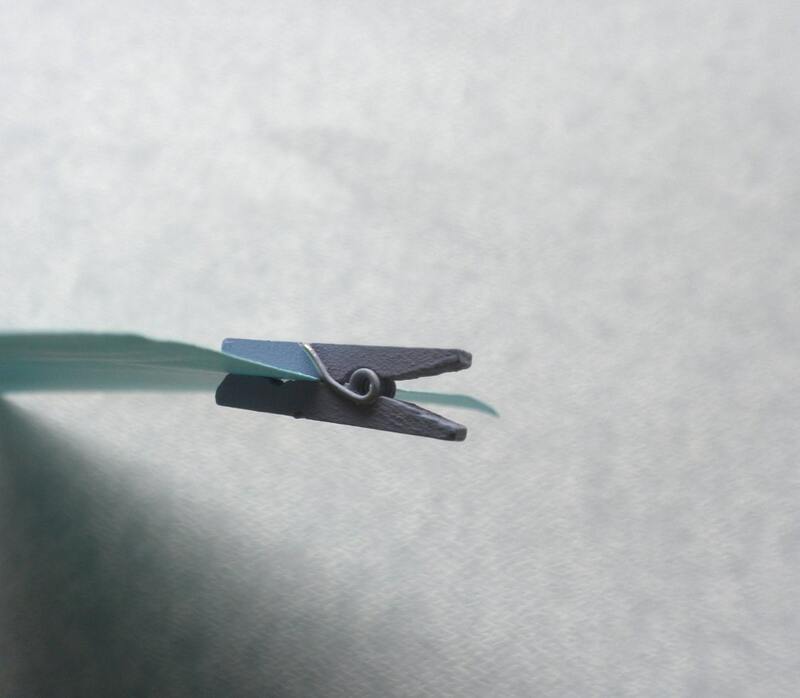 These are great for your scrapbooking, altered art, and other paper crafting projects. 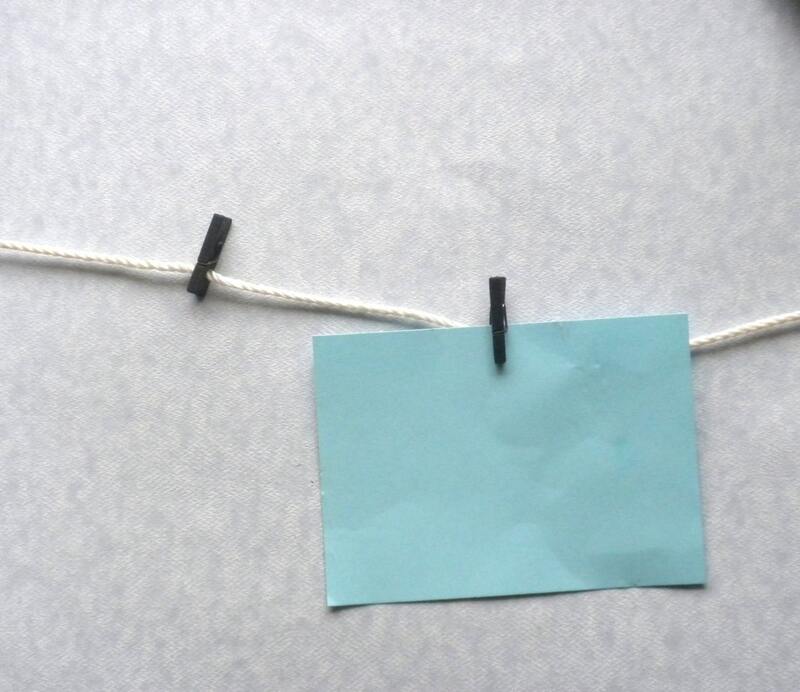 Or use with twine and hang up your cards or other papers and make your own bunting. Or use it to hold that tag to that re-used gift bag! These are also great for party favors and treat bags. Item was as described & I received fast! Super cute mini pins! Thanks! 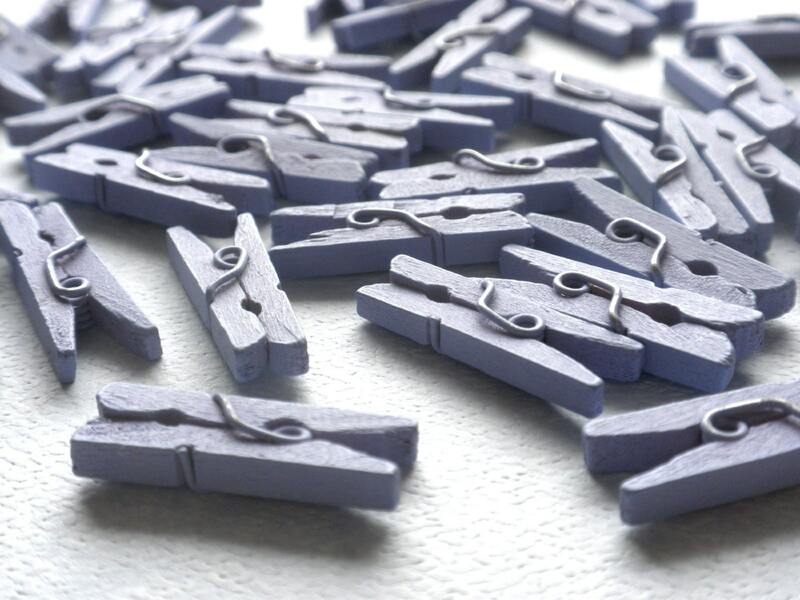 These are fantastic tiny clothespins that are extremely well made and lovely. We are super impressed with the quality! Just as described. Will be using for my wedding! Thanks!